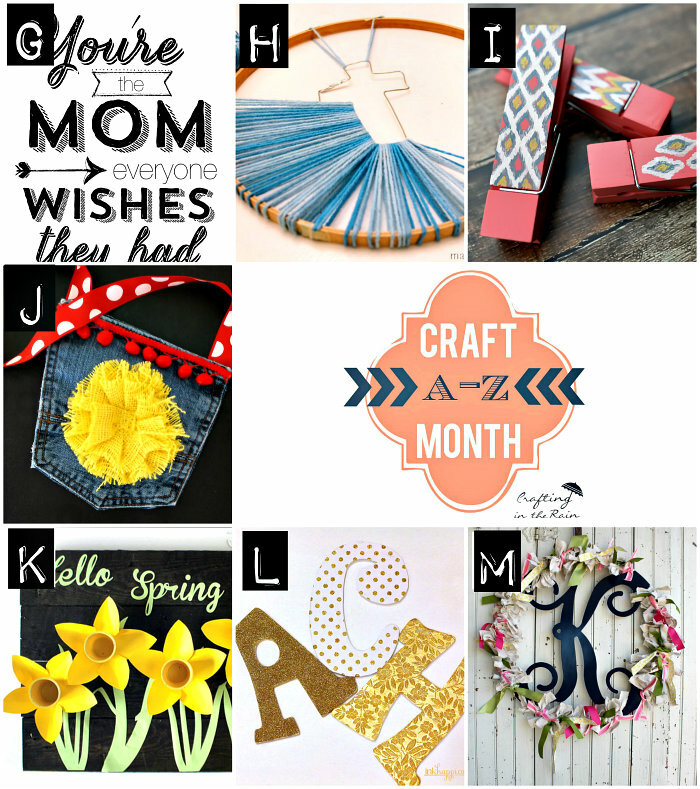 Today I’m participating in Stephanie from Crafting In the Rain’s Craft Month from A-Z! My letter is “K” which happens to be my favorite letter. 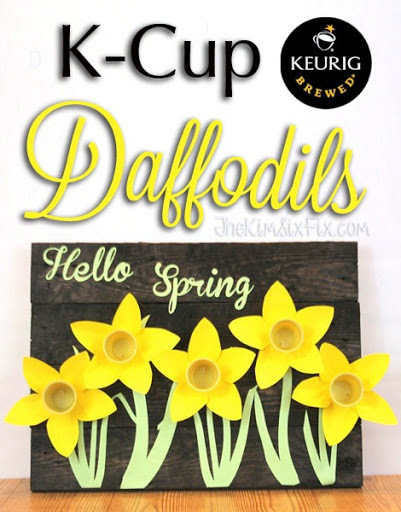 And since my craft had to be based on that letter, of COURSE I decided to create a spring craft out of KCups. (Yes, this is starting to become a regular feature with me!) And I also had to incorporate some old pallet wood, since that is another thing I love to do. Next I cut out some flower petals out of cardstock. I could have done this step with my Silhouette machine but my lazy girl genes kicked in and I just used a scissors. I bent the flower petals out to give me a more three dimensional look and laid them out on the board to get an arrangement I liked. I had left a space at the top of the boards so that I could add a message. I thought “Hello Spring” was appropriate since it is only about a week away.